It is only about an hours drive from Orlando, it has many interesting animals and is an affordable option for an activity to do with the whole family. 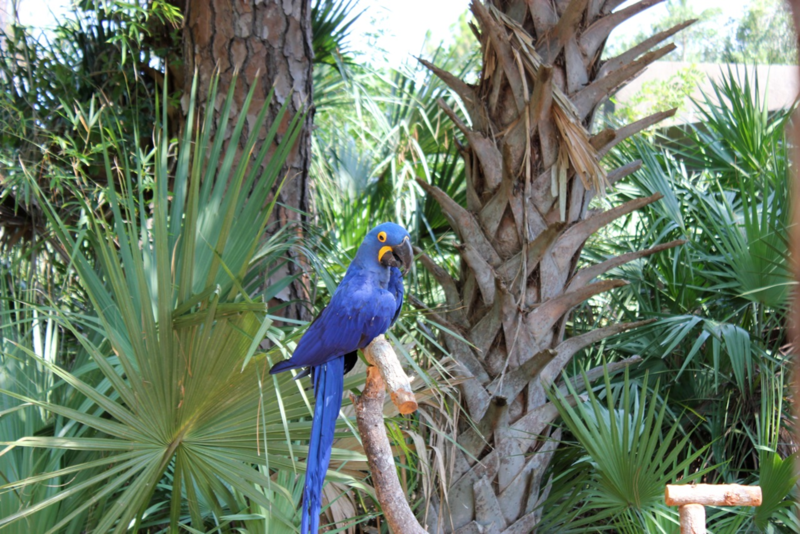 If you have an annual membership at the Central Florida Zoo, the reciprocal agreement between the two zoos allow you for 50% off the ticket price at Brevard Zoo. 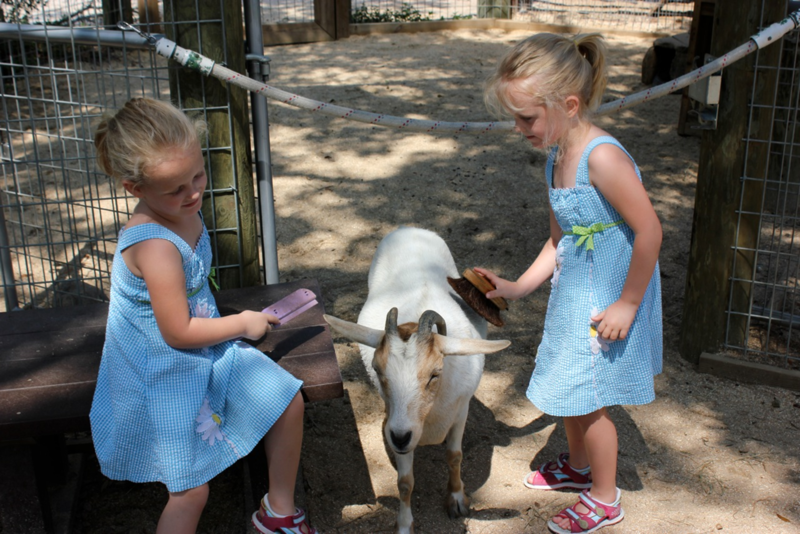 Recently we took a trip with the twins to the Zoo and we wanted to share the fun with our readers. Here is our trip in pictures from the Zoo. 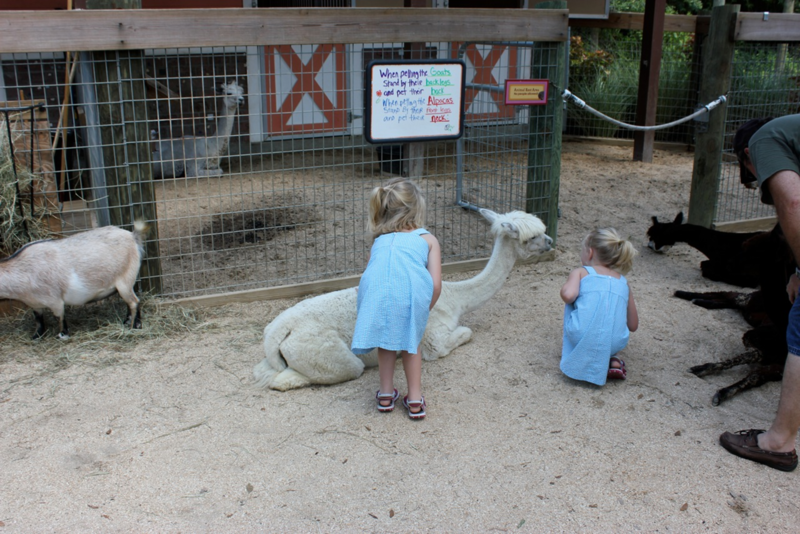 At the petting zoo, Laura and Kathryn try to talk to the Alpaca's which they kept calling Llama's. They also petted their necks and hugged the Alpaca's. 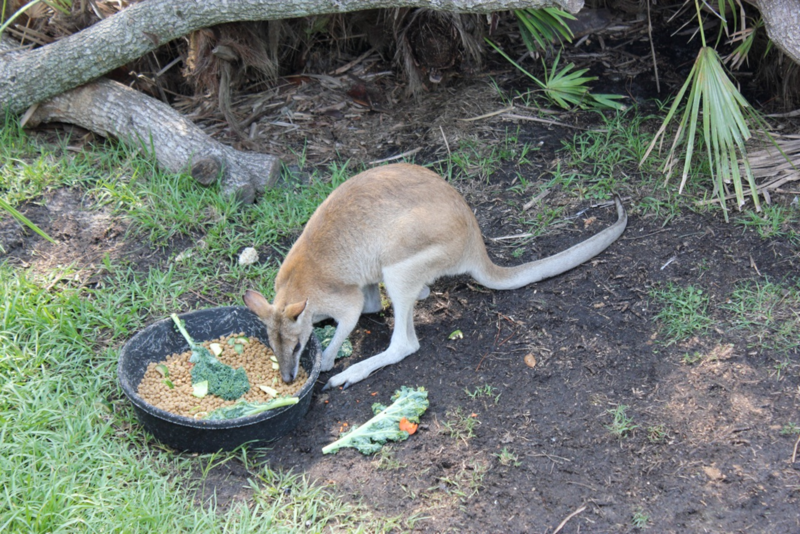 The Kangaroo found in the Australia/Asia exhibit is munching on it's food. As the day wears on Laura gets a little tired and wants to be carried, but she is still excited to see animals and eagerly points them out as she is carried by Justin. 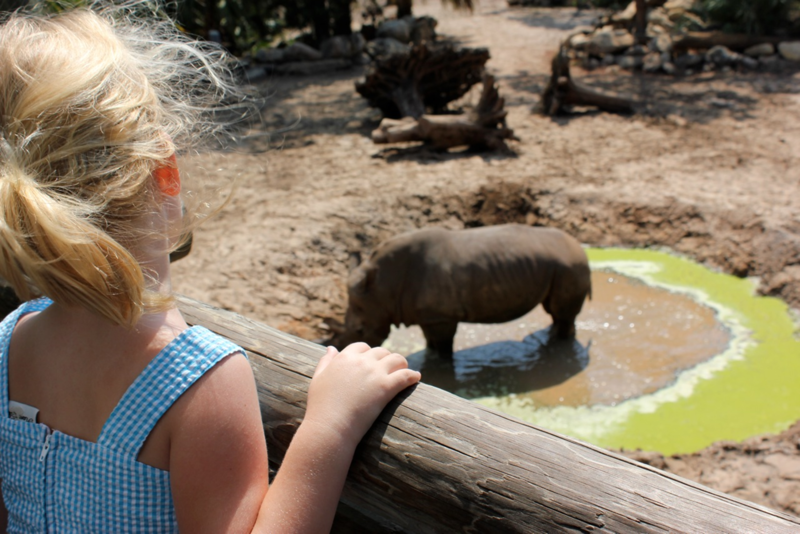 In the Africa exhibit we marvel at the White Rhinoceros as he bathes in his water pit. We were looking for the Giraffes, but the day was warm and they wander around. We will use that excuse to go back sometime soon. 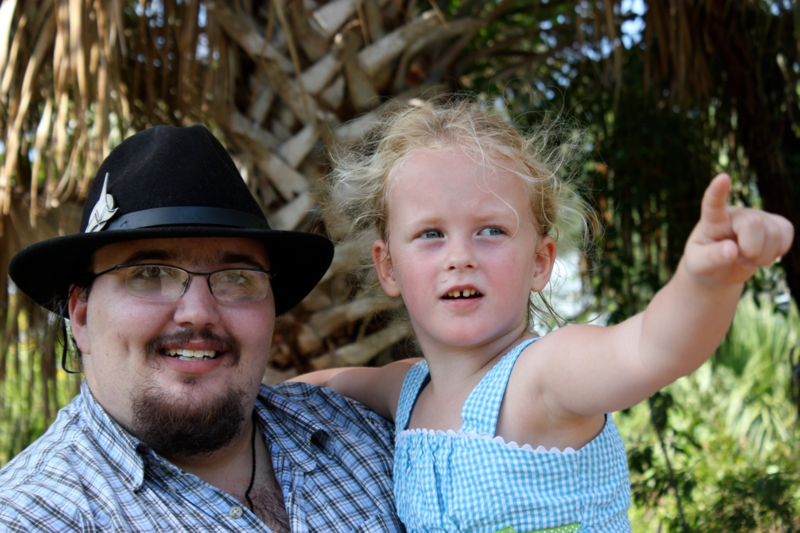 We had such a great time and hope that you will check out the Brevard Zoo sometime in the future as well. Legoland will soon be opening in Central Florida, it will be a nice addition to the other theme parks that we already have. 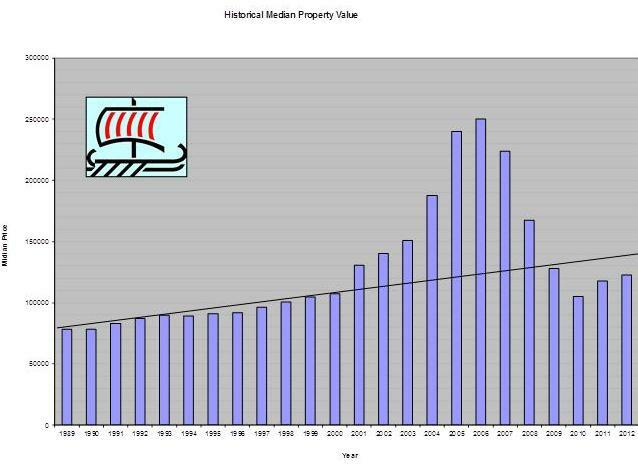 Disney, Universal, SeaWorld and Wet'N'Wild are already popular destinations for tourists and locals alike. From the Legoland web-site "LEGOLAND® Florida, opening October 2011, is a 150-acre family theme park located in Winter Haven, just 45 minutes southwest of the Orlando theme parks or downtown Tampa. The Park will offer interactive attractions, family rides, shows, restaurants, shopping and beautiful landscape specifically geared for families with children ages 2 to12." We have included a video on LEGOLAND for you to see for yourself how fun this park will be. For more information and find out how to buy tickets, visit LEGOLAND's web-site.